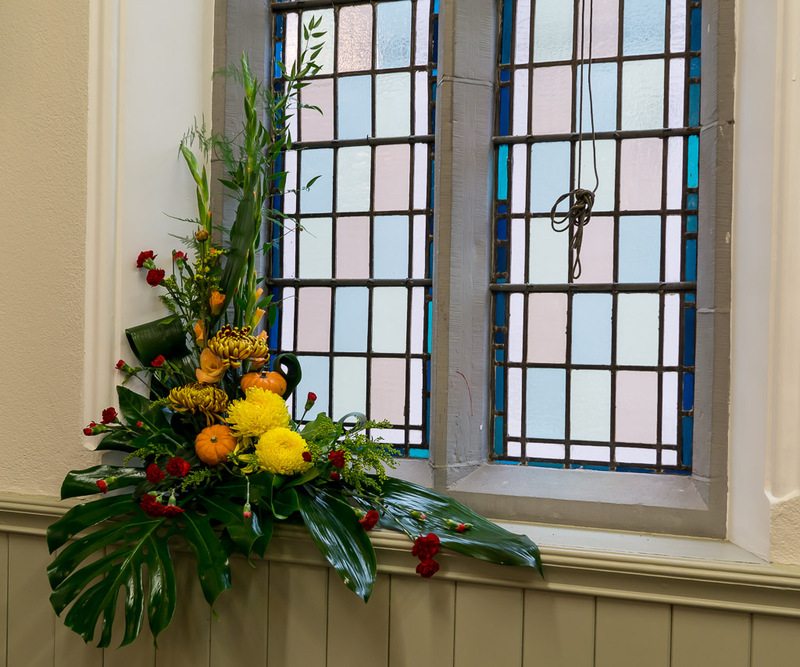 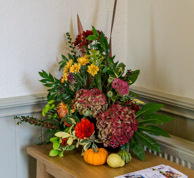 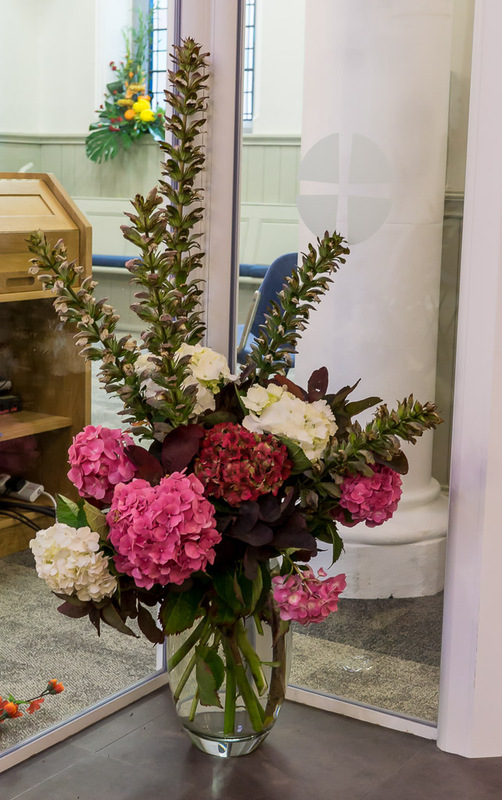 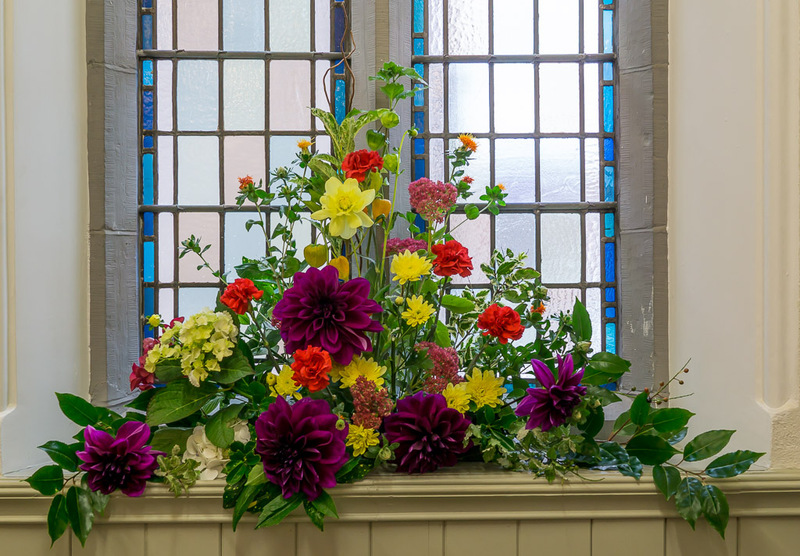 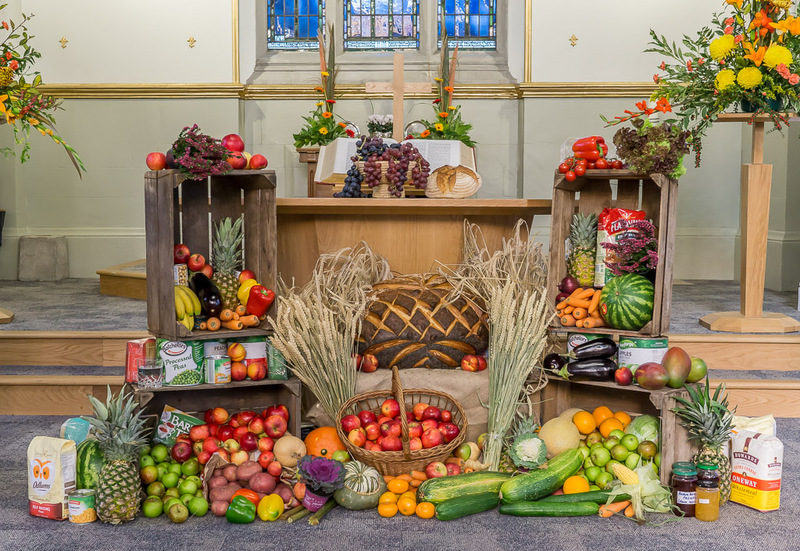 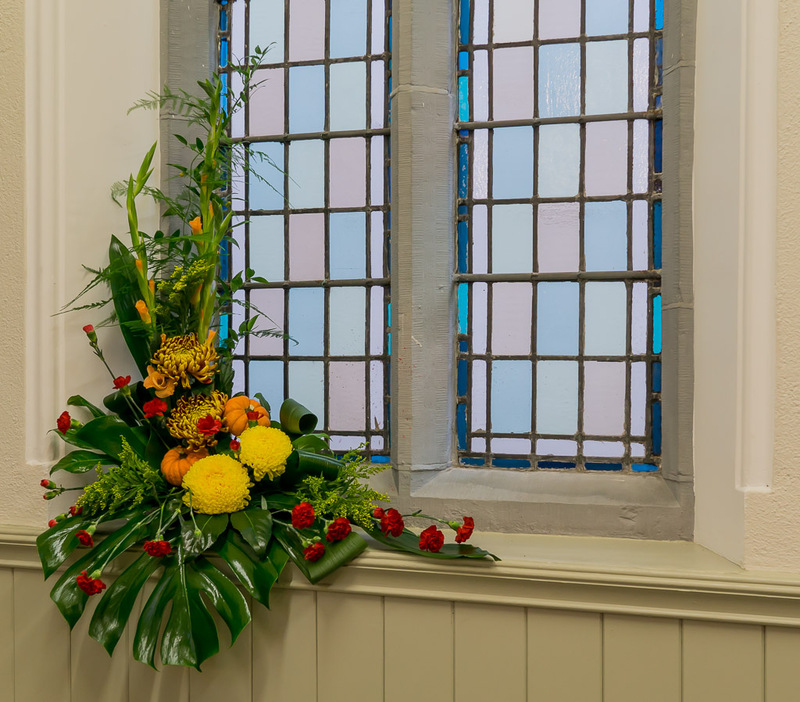 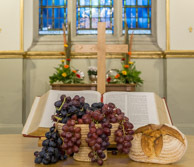 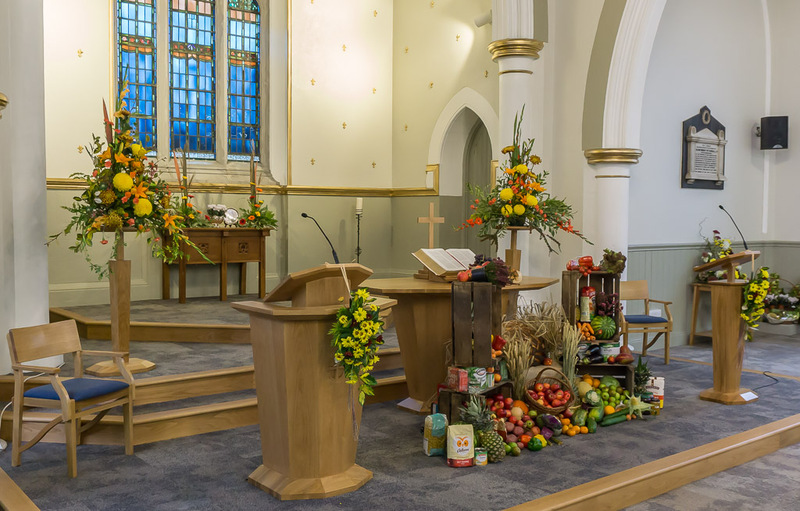 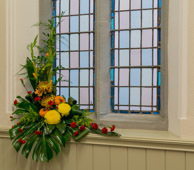 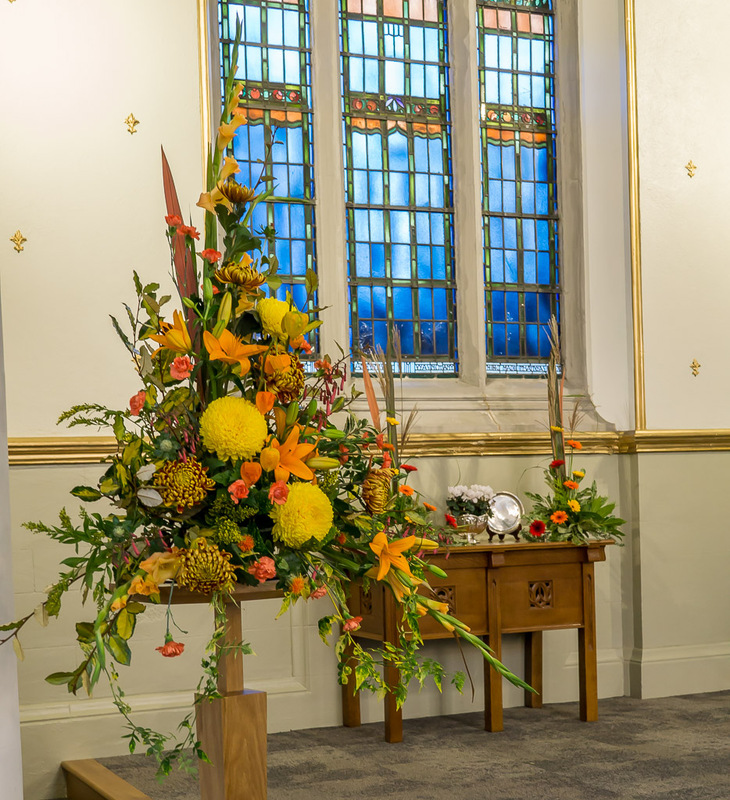 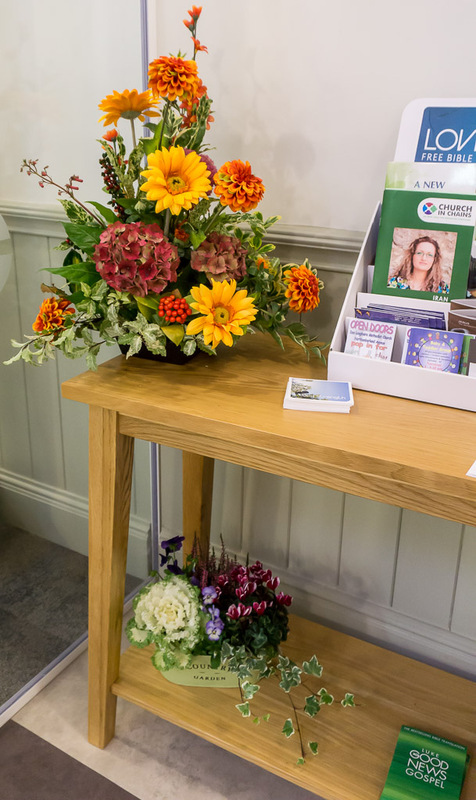 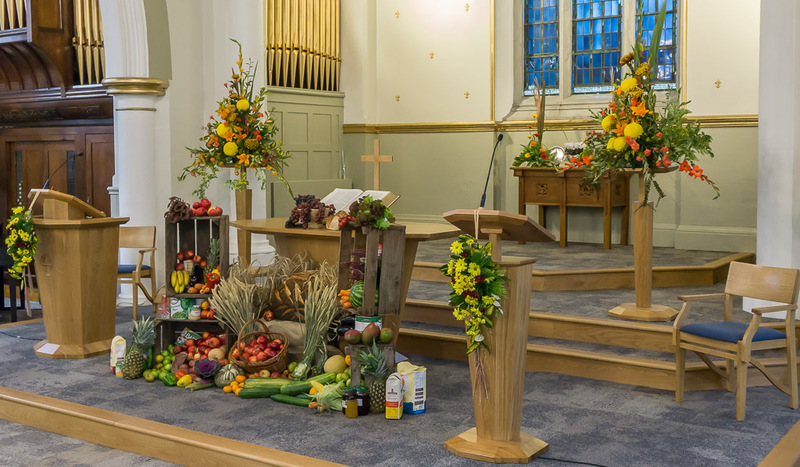 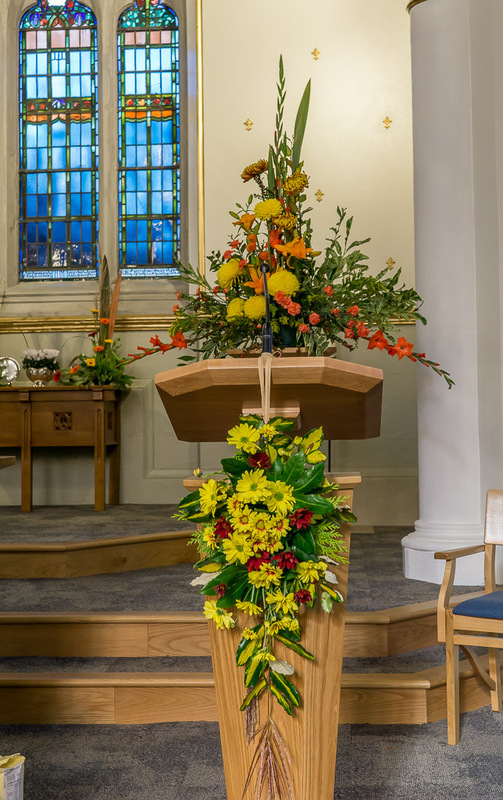 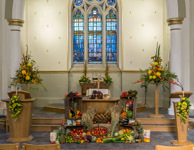 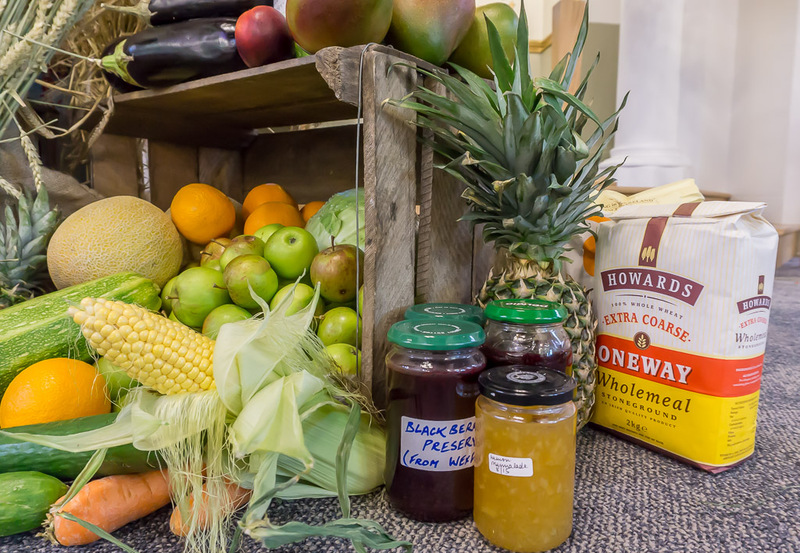 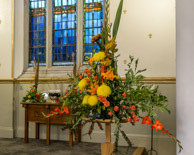 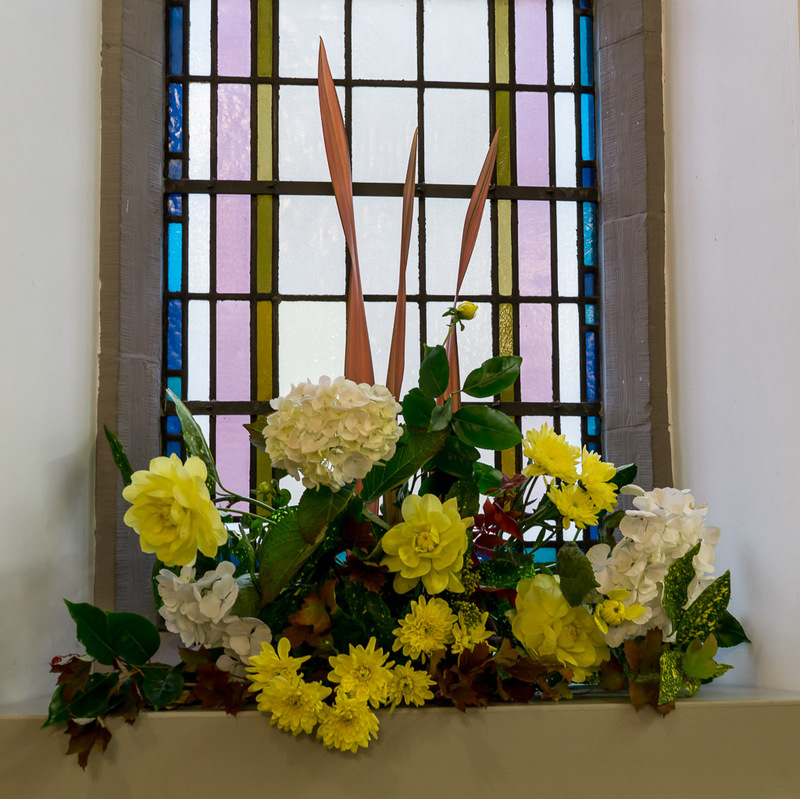 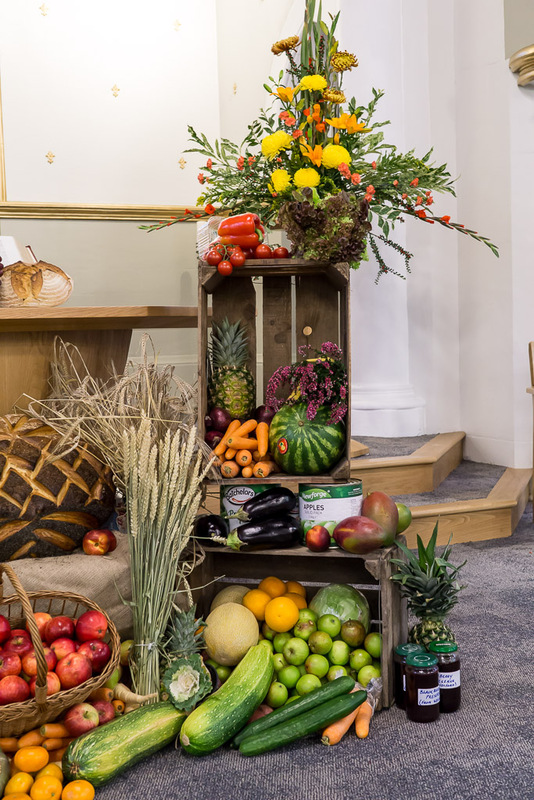 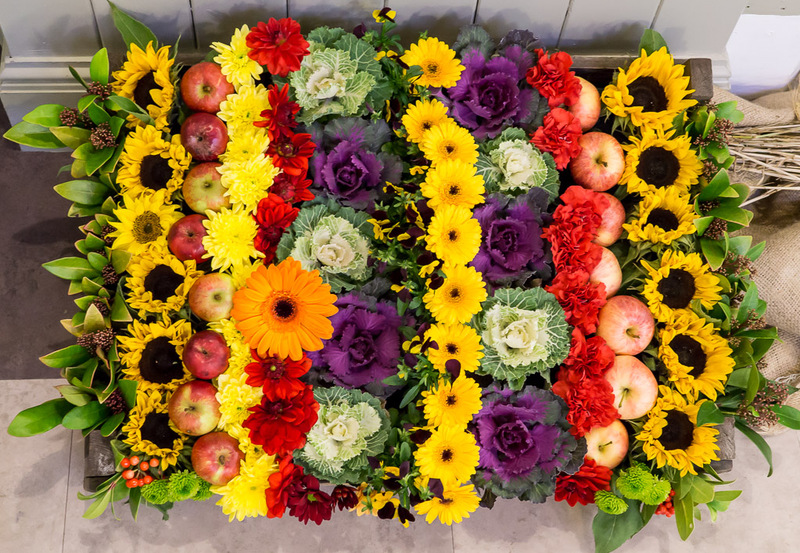 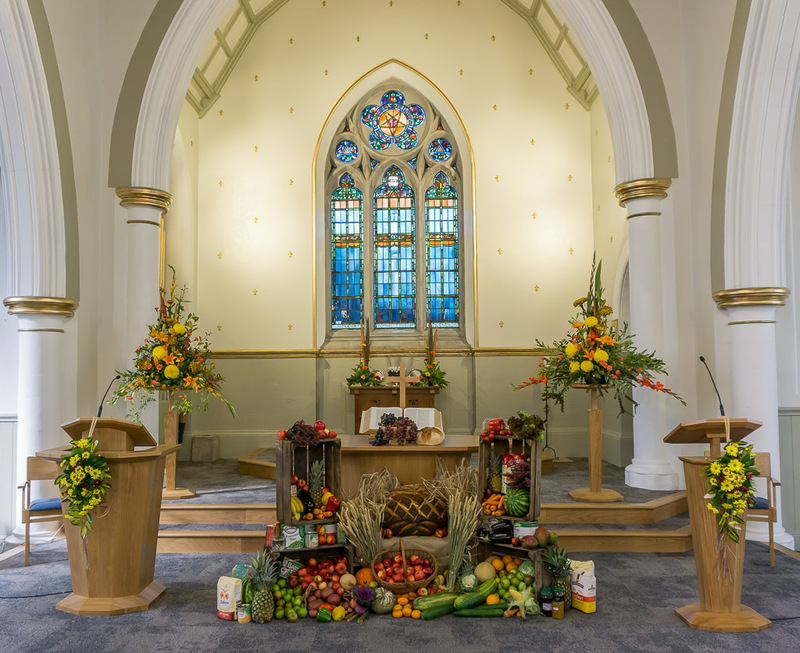 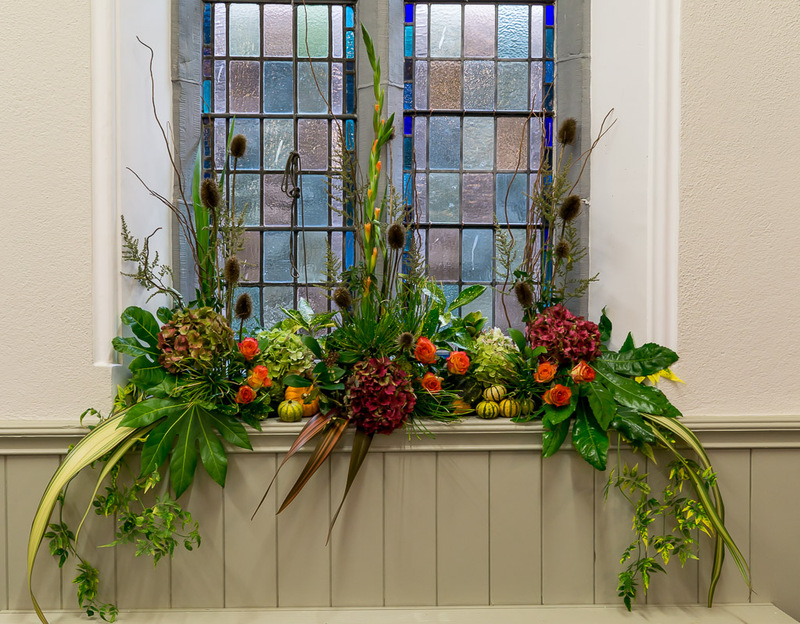 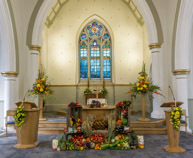 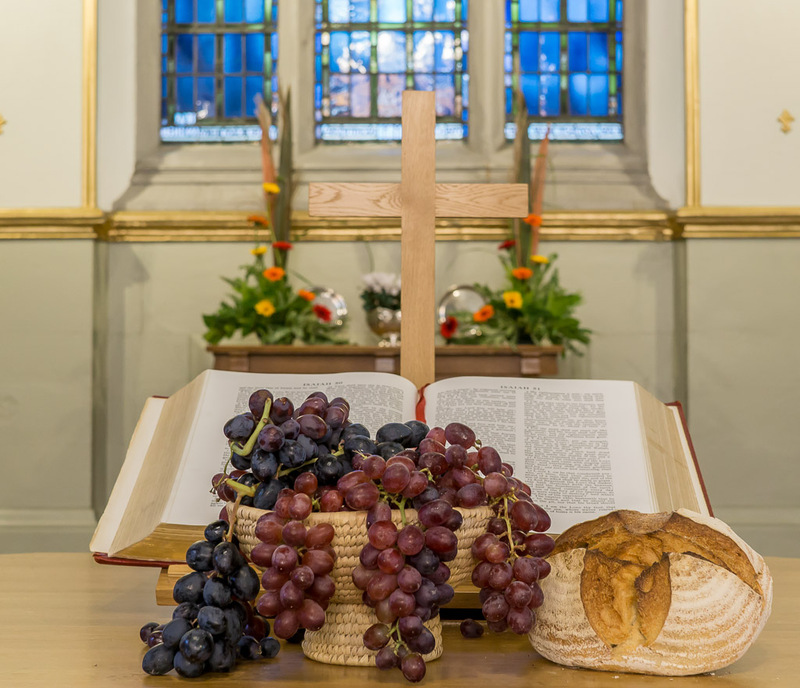 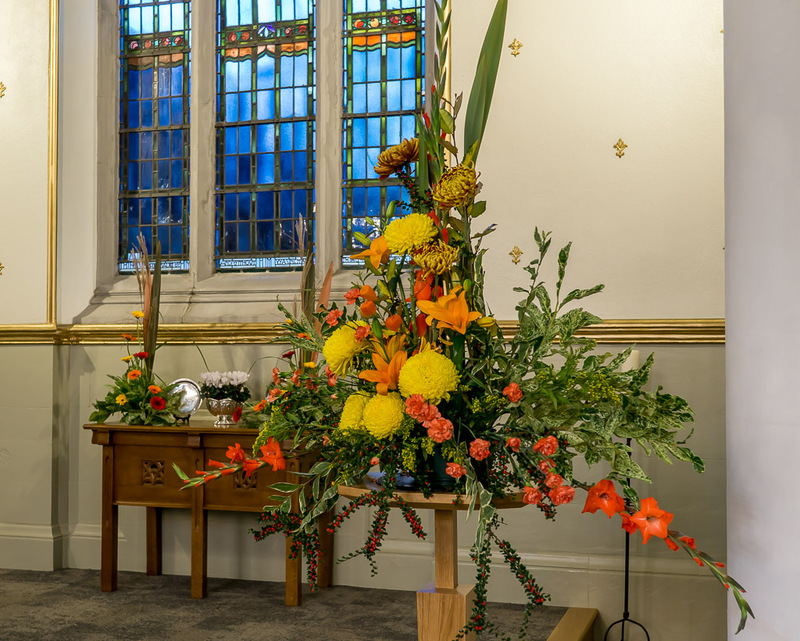 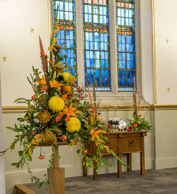 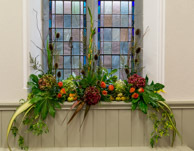 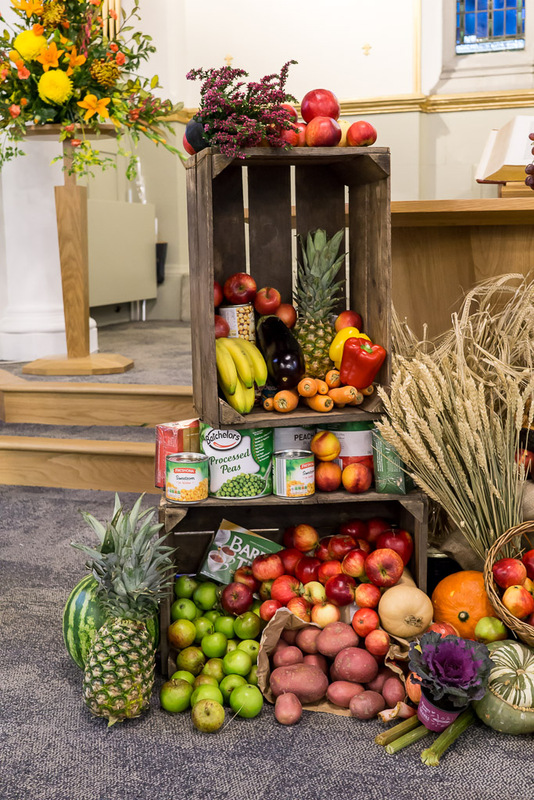 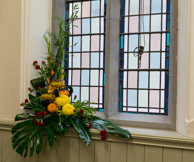 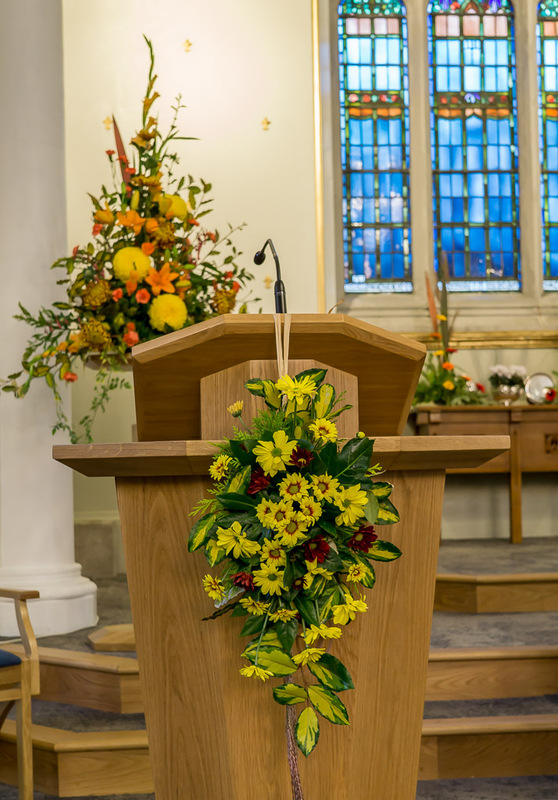 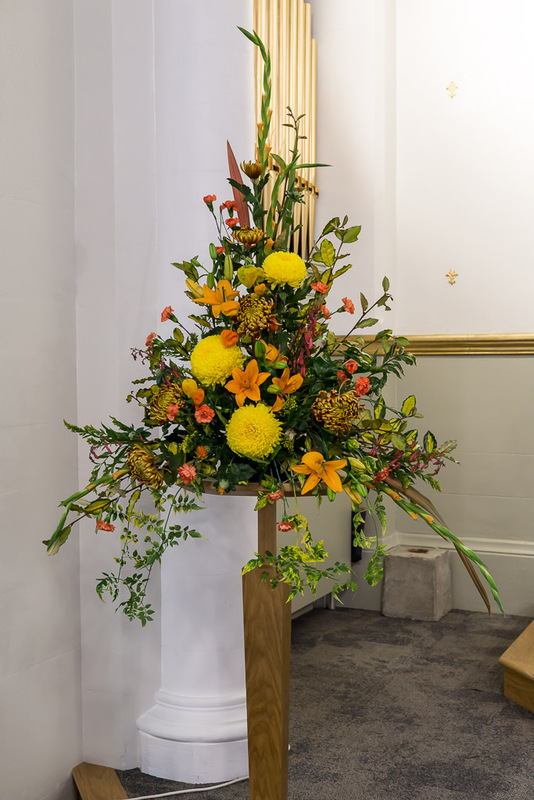 In 2015 we celebrated our Harvest Festival on Sunday 27th September with our service at 11.00. 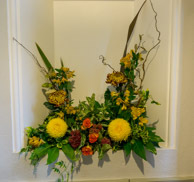 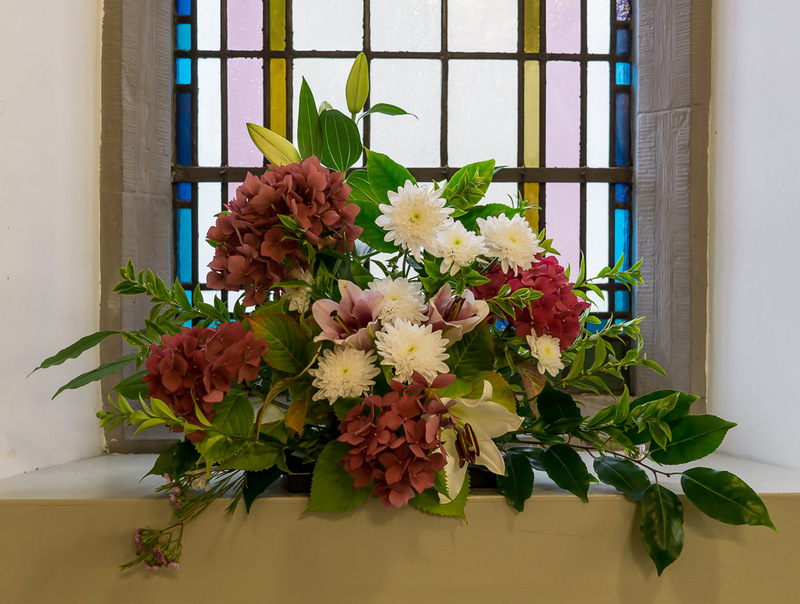 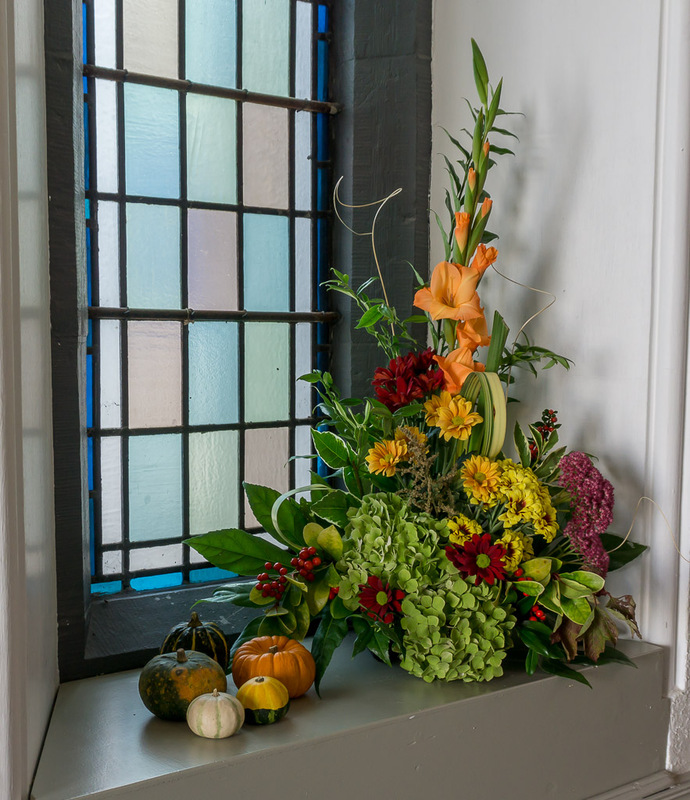 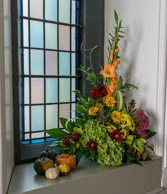 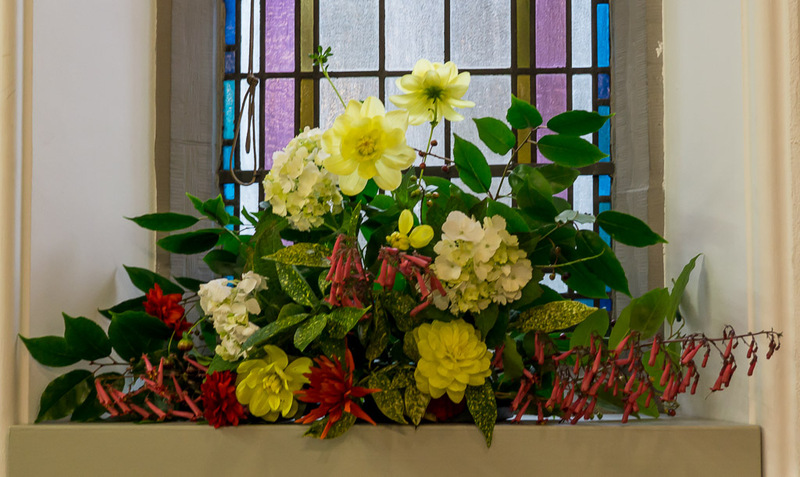 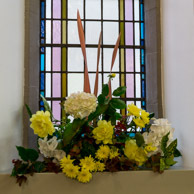 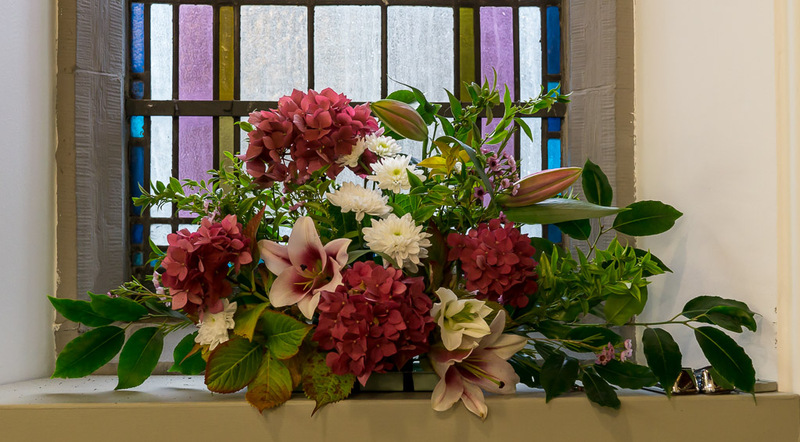 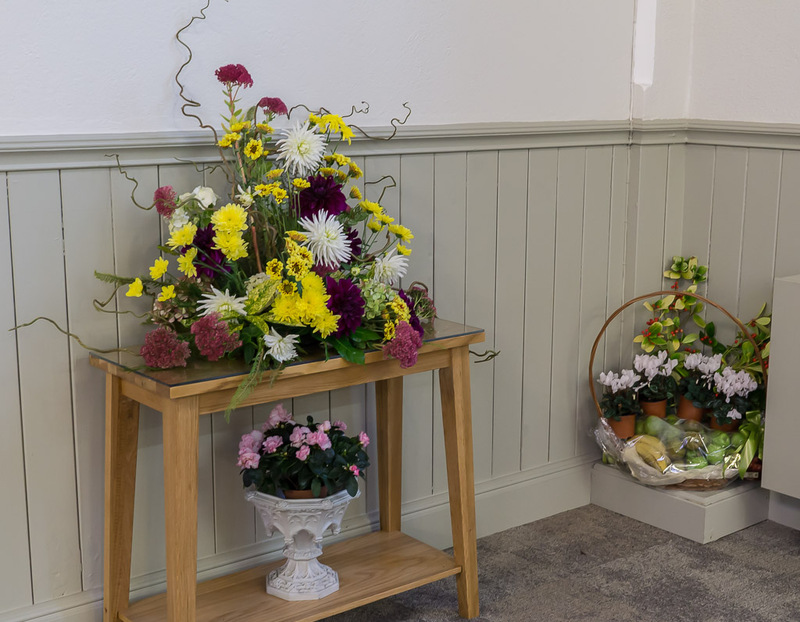 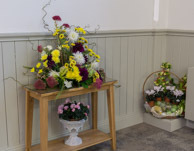 A team of ladies from the church worked hard on the preceeding Friday to decorate the church with beautiful flowers and vegetables. 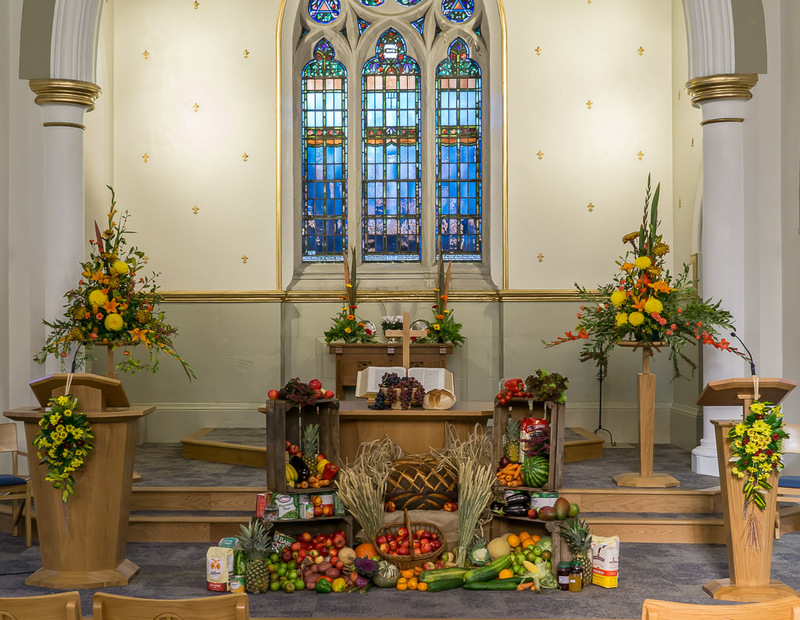 A beautiful large loaf of bread took centre place and tins of food also featured. 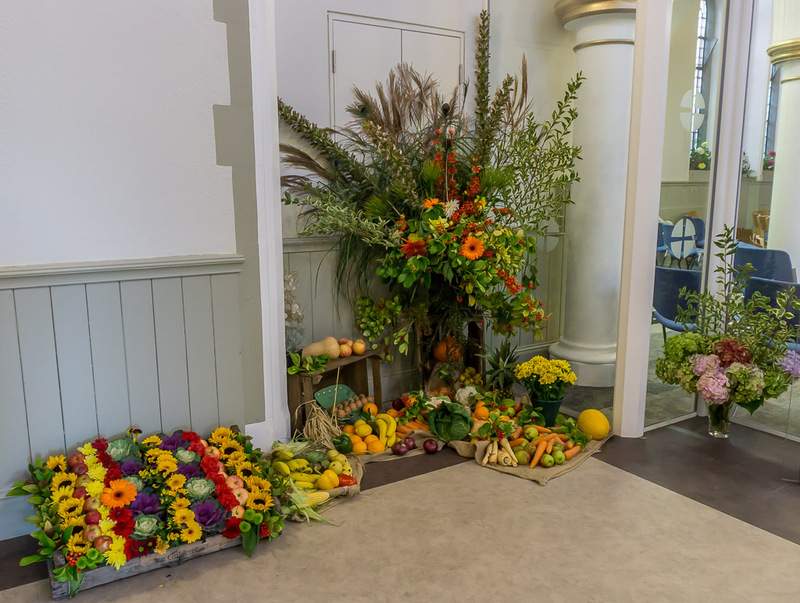 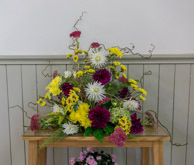 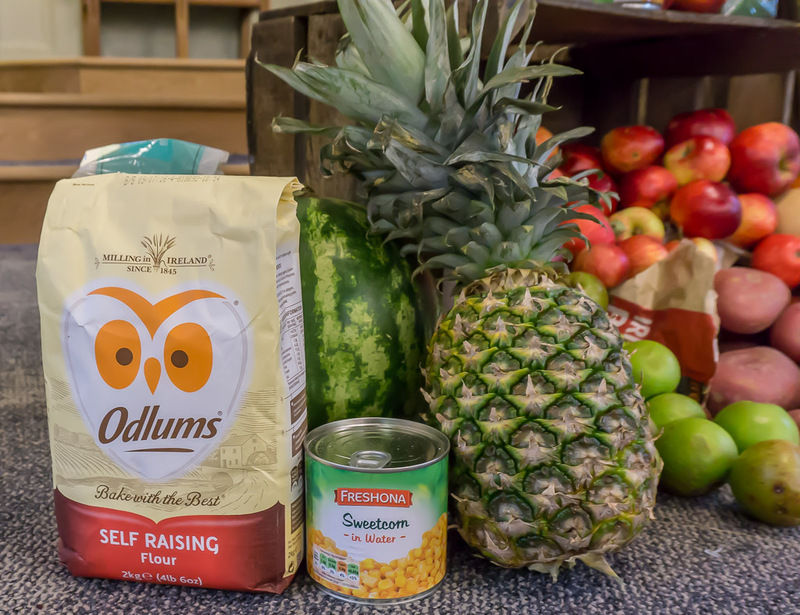 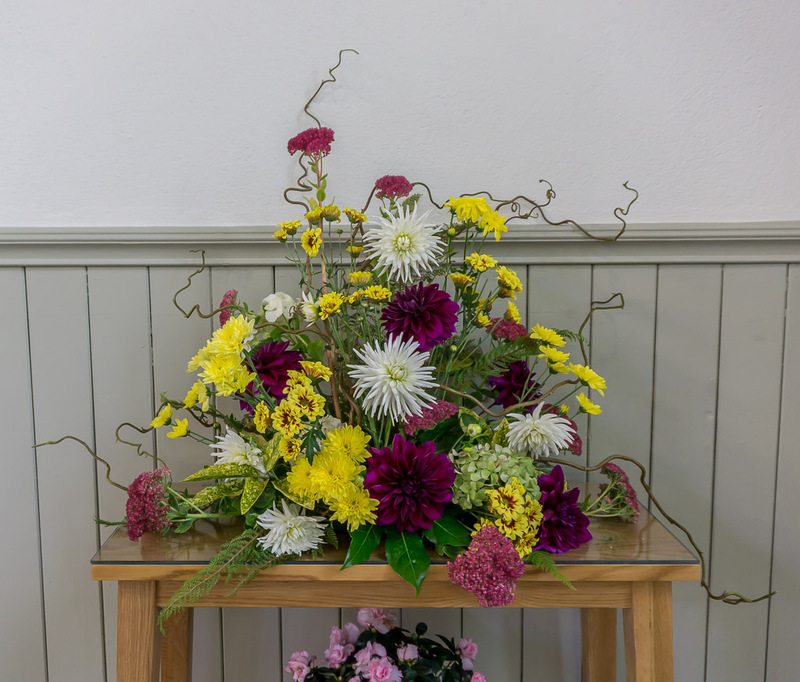 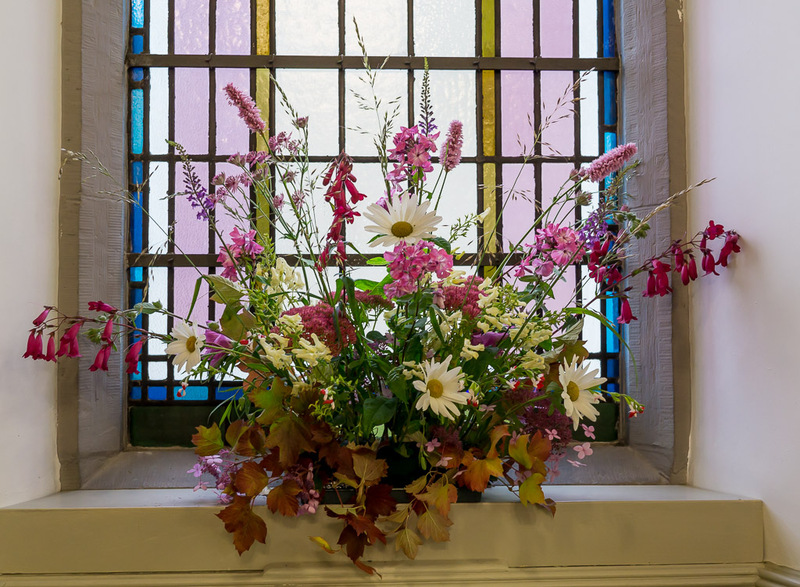 The church was open on Saturday and Sunday for anyone who wished to see the Harvest display could come and join us for a cup of tea or coffee or quietly meditate in the church.